Massage Envy Spa Central Florida | Explore the benefits to unlocking a more healthy, energetic, and stress-free lifestyle. Get the most out our your exercise routine, and make sure that every week you take some time to cater to yourself and take care of your body. Pomegranates are loaded with antioxidants! Remember, only the juice and seeds inside are edible. When refrigerated in a plastic bag, pomegranates keep for up to 2 months. It is proven to fight high cholesterol and lowers blood pressure. It also increases the speed at which heart blockages melt away. Kale thrives in the winter months. It is particularly rich in vitamins A, C, and K. When they are steamed, their benefits of lowering cholesterol are much higher than if you ate them raw. Kale is also believed to fight cancer with a substance called sulforaphane and indole-3-carbinol. The body is normally missing the minerals your body needs, but Kale is a plant-based source of calcium and magnesium that will replenish the body. Oranges are the juiciest in the wintertime. Not only do they give you the best source of vitamin C, they can help you fight off any cold or allergy you may have from the “colder” weather. It is a great snack for any time of day. It is important to drink orange juice in the morning so your body can hydrate and get the vitamin C to function for the start of your day. Potatoes are a great source of vitamin C and B6. They are also a good source of foliate, which is especially great for women of childbearing age. Did you know potatoes have more potassium than a banana does? Believe it! Potassium is a mineral that is part of every body cell. It helps regulate fluids and mineral balance for the body. It also helps lower blood pressure. The holidays are a time to celebrate, and because of that people tend to drink more alcohol. In order to stay healthy it’s important to make sure you’re drinking tons of water to stay hydrated! Get in the habit of filling up a bottle of water in the morning and making sure you finish it by the end of the day. The single biggest threat to your health is the germs on your hands! Whether your traveling or just doing some last minute shopping, make sure to keep some hand sanitizer with you at all times! No one wants to be sick on the holidays. Eat what you are looking forward to the most, but make sure it’s in moderation! Don’t over indulge yourself in all the dessert. It’s important you are getting enough of the vitamins you need. You’re going to need all the extra energy! We have the tendency of putting fitness on hold around the holidays. If you are unable to make it to the gym, take 20 minutes out of your day and go for a walk or a job around the neighborhood. Do this 2 or 3 times a week and you won’t gain that access weight you are over-thinking about! Treating yourself to a massage or a hot bath could be the thing you need to stay relaxed. We seem to get so caught up in the holidays that we forget the important things like taking care of YOU. If you are feeling overwhelmed, take some time for yourself and enjoy alone time. You’ll thank yourself later. Thank you for allowing us to take care of you! Stay tuned for our next blog post and make sure that every week, you are able to enjoy some ME time. Whatever your reason may be, you know that you can always come to Massage Envy to enjoy some ‘ME’ time! We will help you manage the side effects of this beautiful thing we call living and help you feel your best every day. Our therapists are here to alleviate every ache, pain or stress-no matter how small-because we agree on one thing: The good life should actually feel that way. There are infinite reasons in our daily routines to take care of ourselves. At Massage Envy, we believe that we are part of your well-being journey. It’s time to take care of you! So join us! Share with us your #BecauseMoment across our social media pages and tell us why you’re part of the Massage Envy family. The New Massage Envy Is Here! At Massage Envy, our brand is evolving to reflect our mission in a better way. As always, the new Massage Envy is all about you! Everything you love about your local Massage Envy clinic in Central Florida will still be there, but you will start to see changes in how we look. We believe that taking care of your body shouldn’t be a luxury. Proper massage and skincare routines provide us with many benefits for our daily life and help us relieve the negative effects of some of those daily activities that take a toll on our body. We believe you have the right to live each day to your maximum potential, and taking care of yourself is a vital part of that! Our therapists and estheticians at Massage Envy Central Florida clinics are committed to total body care and will continue to elevate our industry’s bar to ensure an unmatched experience every time you visit us. Thank you for allowing us to help you feel your best! You’re invited to join the movement to think about massage and skincare differently and share with us your #BecauseMoment across our social media platforms! At Massage Envy Central Florida, our purpose is to help you live the best life you can. Whether you need help relaxing and revitalizing your body with a massage, or want to take care of your skin with one of our Murad Facials, we are here to join you in the path to better health. When you eat healthy food and get the recommended amount of calcium, vitamin D, and folic acid, you will build a strong skeleton. This will also help you prevent osteoporosis and fractures int he long term. Recent studies found have that eating more fruits and vegetables can lead to feeling calmer, happier and more energetic. Research has found that if you are getting your recommended daily dose of fruits and vegetables, you will boost your immune system and save at least five sick days. Picture by Ania M. Taken from Flickr. Scientists explain that you may be able to eat your way to a clearer complexion if you avoid over-eating certain foods such as sugary foods, dairy, and processed grains. What you eat greatly affects how quickly and how well your body will recover after a workout. For example, protein is vital in helping your muscles recover so if your body is not receiving the appropriate amount of protein it needs, it won’t recover well. 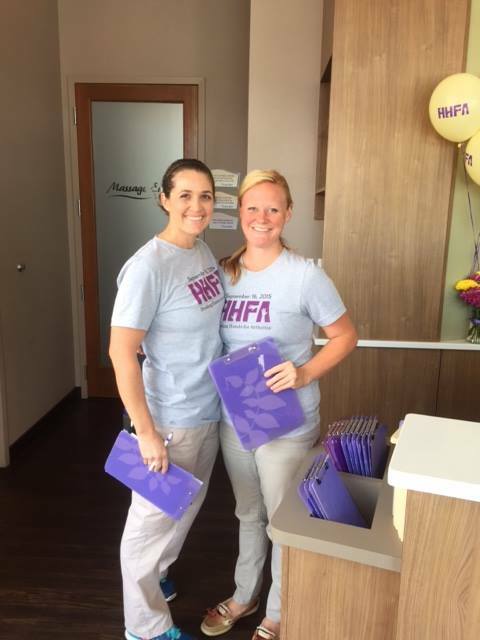 HHFA event at our Waterford Lakes clinic! Thanks so much for all you do for Sadie and the other kids with arthritis!! HHFA event at our Massage Envy Spa Oviedo clinic! HHFA event at our Massage Envy Spa Altamonte Springs clinic! 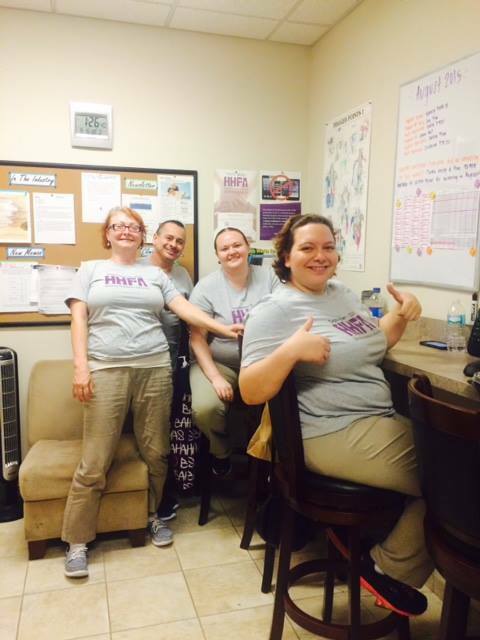 Our Gainesville team was very excited for HHFA! 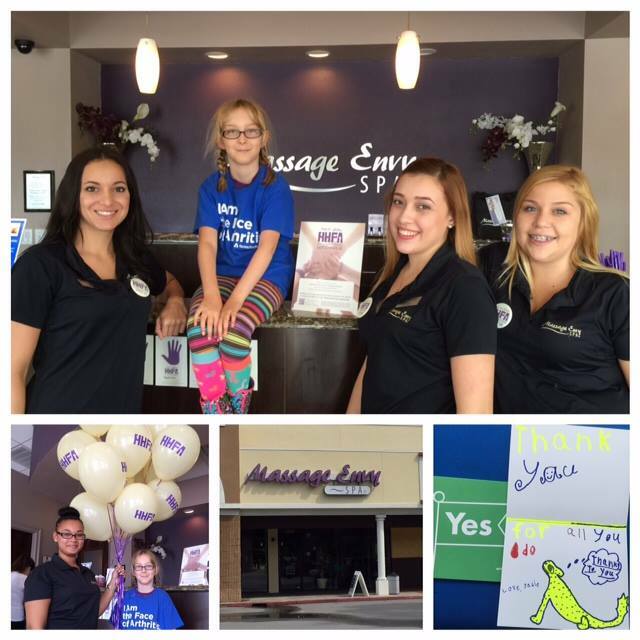 Here is Kenzie participating on our HHFA event at our Massage Envy Spa Clermont clinic! 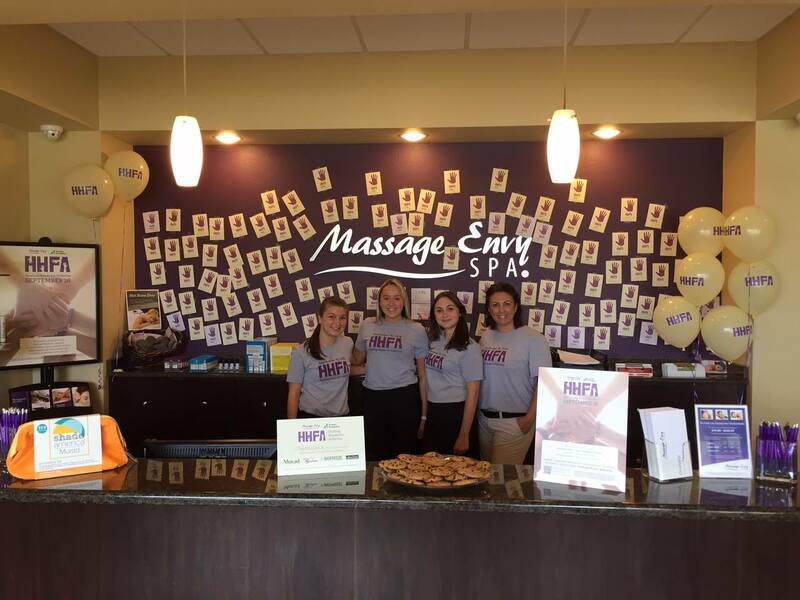 HHFA event at our Massage Envy Spa Lake Mary clinic! HHFA event at our Massage Envy Spa Viera clinic! Ask yourself these questions: What specifically do I want to do for myself? What does relaxing, resting, recharging or exercising mean to me? If you are very broad and schedule ‘free time’ for yourself, you are probably going to have a hard time deciding exactly what do to when that time comes, which can lead to wasted time, or you are going to end up yielding that space to on-the-go activities that come up. For example, if you are specific, you know what type of exercise you want to do, instead of just vaguely stating you want to workout. If you want to relax, be specific! Are you going to meditate, get a massage, go for a walk or take a nap? Be specific about what you want to accomplish, start with one or two activities a week and work your way up to integrate more. Now that you know what you want, you can go ahead and put it in your calendar. This is where you make time for it and find time for yourself. This is as simple as scheduling a doctor’s appointment. You know at what time it is and where to be; by scheduling it you make sure you don’t miss it. So think of your ‘me time’ as the activities that help lift your spirit and keep you healthy. Schedule them just as you would schedule anything important. After all, you are very important! Since these activities will probably help you be in a better mood, feel better, be healthier, be stronger, or be more relaxed, they should be regarded as non-negotiable and as part of your life habits. Don’t replace them once you have scheduled them unless an emergency needs your attention. Since you have them in your calendar and you understand that taking care of yourself is very important, block those times out. Those 30 minutes or that hour that you took for yourself will help you perform better throughout the rest of the day. If you really want to include new activities on your routine, getting some support along the way will make a huge difference. If your goal is to workout and be more active, getting accountability can be as simple as joining an exercise group and sharing your goals with the instructor so they can help keep you on track. You can also rely on your best friend or partner and ask them to keep you accountable, motivated, and to be supportive. Sharing with someone else what you want to accomplish and asking them to join your efforts will provide you with extra motivation! Taking time for yourself is important; if you are not well, you can’t serve others well. Making time for yourself doesn’t mean you are neglecting other priorities in your life, it just means that you are also one of your priorities—perhaps the most important one since without your health and well being, none of the other priorities can be met. We hope you are able to enjoy more ‘ME time’ from now on! Studies have shown that the food we eat has chemical effects on our body depending on its properties. For example, you might notice that constantly consuming certain artificial foods gets you moody, tired, or anxious. Feeling like this prevents you from performing at optimal levels and enjoying your days. Let’s restore our bodies to their natural feel-good chemistry levels by learning the types of food that we can incorporate to our diet that will help us smile and build better brain health. Consuming mussels will provide your body with much-needed vitamin B12. This will help preserve your brain cells, keeping your mind sharp even as you grow older. The nutrients found in mussels will also help balance your mood and keep your thyroid healthy. This food will provide magnesium to your body, which is essential for the proper conduction of the biochemical reactions in your brain and boosting your energy levels. Blue potatoes are rich in anthocyanins, which are very powerful antioxidants that will help you improve your short-term memory and reduce inflammation. If you are having a hard time finding blue potatoes on the supermarket you frequently shop at, stop by your local farmer’s market where you might be able to find them more easily. 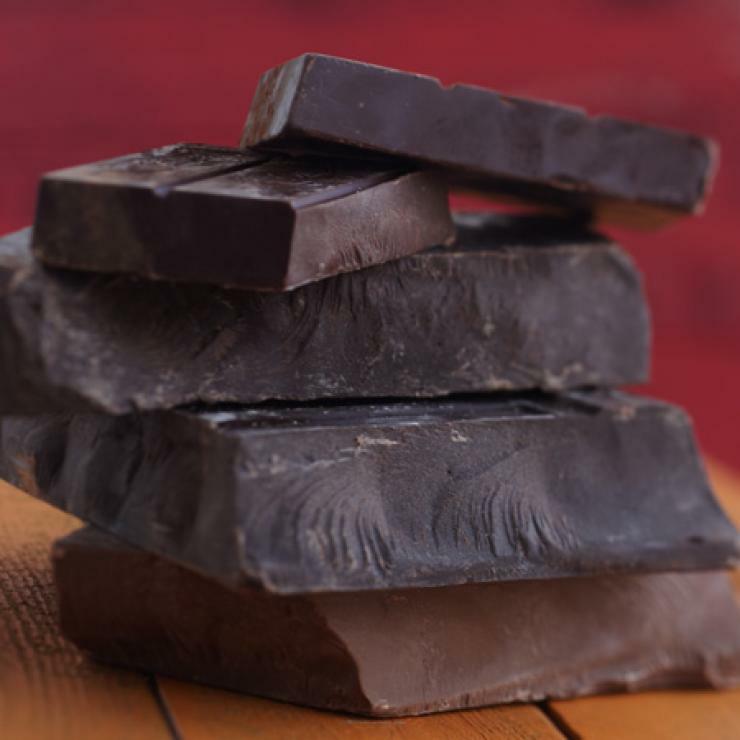 Dark Chocolate can help you feel more vibrant and energized because it improves blood flow to the brain. It will also help with concentration and mood. Make sure you stick with the darkest (highest percentage of cocoa) organic chocolate variety that you can, since milk chocolate tends to be high in sugar. If your protein has been grass-feed, it will provide your body with conjugated linoleic acid and iron, which will help you moderate stress hormones, protect your brain cells and reduce inflammation-promoting belly fat. New to massage? No worries. Join Massage Envy Spa as we talk about your first massage with Massage Envy. We’re going to take you on a journey from what to expect from the time you come into a Massage Envy location to when you leave. April is National Stress Awareness Month! Most of us experience stress on a daily basis, but it’s important to understand the affect stress has on our body. The daily stress we experience cause our bodies attack us. Our limbic brain takes over and shuts down all body systems which don’t help us fight or flee danger. This causes our body to always be on high alert. Our adrenaline levels don’t decrease. Our digestive, reproductive, and immune systems aren’t turned back on. This ends in a host of autoimmune, reproductive, and digestive issues. 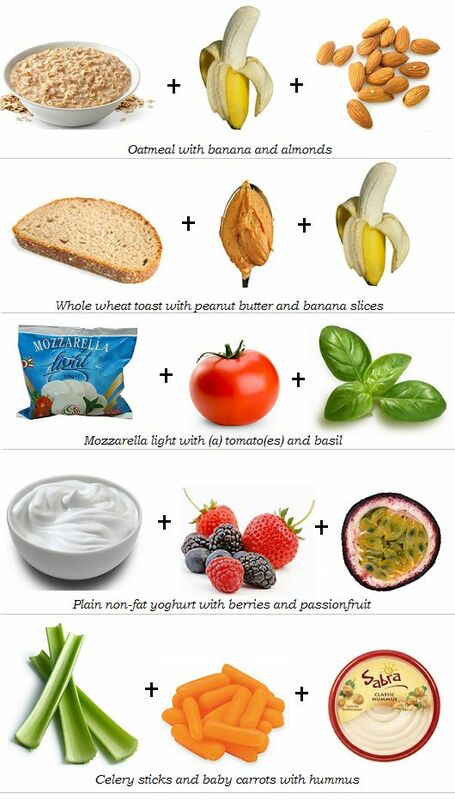 Stress Fighting Foods- Healthy, whole foods are great for fighting stress. Reaching for sugar or caffeine at the first sign of stress can actually decrease our body’s ability to combat stress. Leafy greens, avocados, and blueberries are out favorite stress fighting foods. Take a Break- Go for a walk, read a book, or take a bath. It’s important to make some time to unwind and get your mind off all the constantly stress. Get a Massage- Massage is one of the best ways to reduce stress. They can immediately lift your mood and help with anxiety, irritability, anger, and more. Yoga is a great way to relax and also keep in shape. It can also be hard to find time for yoga during a hectic week. However, these 5 yoga poses are so quick and easy you can do them in just a few minutes right after you wake up, or even just before bed. 1. Cow Stretch: this is good for stretching your lower lumbar muscles. 2. Cat Stretch: similar to the cow stretch, be sure to embrace your inner feline. 3. 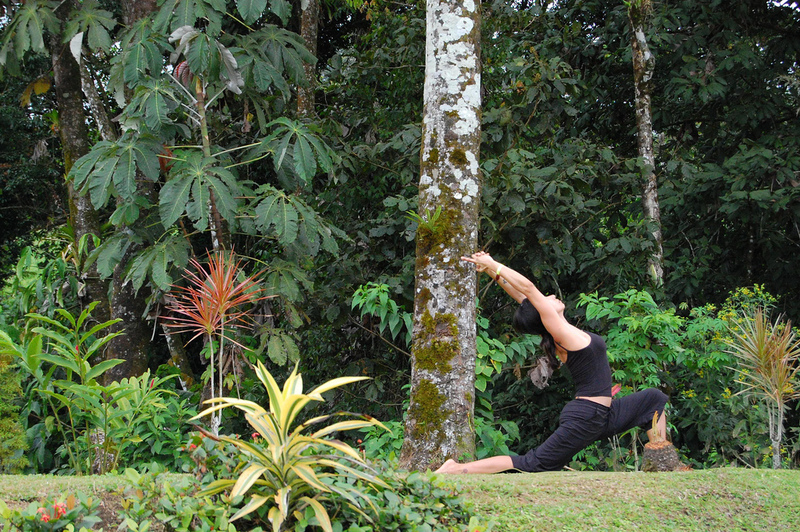 Warrior: breathe deeply while doing this pose, you should feel it in your entire body. 4. Downward Facing Dog: this one is so easy even your kids can do it. 5. Child’s Pose: this is the perfect finishing pose, you can center yourself and get prepared for anything coming your way. Eating right is sometimes easier said than done, but with these 9 clean eating tips, staying on track has never been easier. 8. Pay attention to portion sizes! The holidays always seem to be the times when it’s easiest to get off track on eating healthy. This year, that doesn’t have to be the case! With these quick and easy Thanksgiving dinner swaps, you can stay on track and have a healthy, yummy Thanksgiving dinner. 1. Swap your fried turkey for a grilled turkey- not only is this healthier, but it will also free-up some much needed oven space. 2. Swap mashed potatoes for mashed cauliflower- get the light and fluffy texture of heavily buttered mashed potatoes for way less calories. 3. Bake your stuffing in muffin tins- this will help you control portion sizes and makes for a presentation your family and guests will be impressed with. 4. Swap sweet potatoes with marshmallows for sweet potatoes with goat cheese and chives- this simple swap will cut out tons of processed tasteless calories. 5. Swap the canned cranberry for real cranberry sauce- not only is the real thing more delicious, it’s also way healthier too. 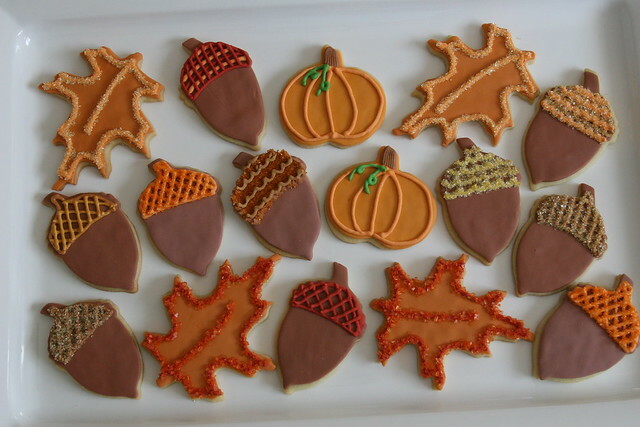 What changes are you making this year to have a healthier Thanksgiving dinner? 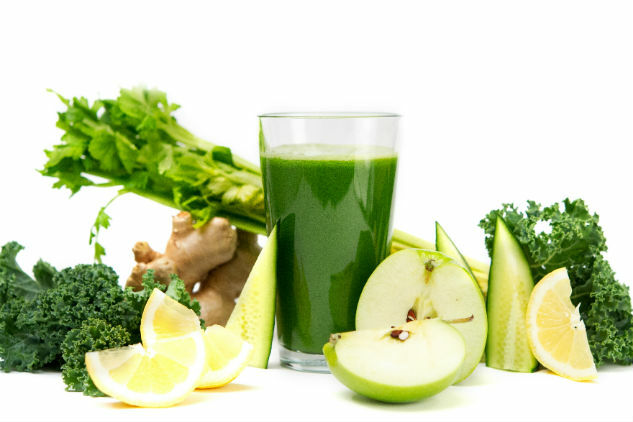 Mix and match your ingredients, and get a new juice every time! Grab your juicer and ingredients, and let’s go. Which one would you try first? 1. You’re constantly hungry, especially for junk foods. Sleep affects your body’s production of grehlin, which determines your hunger and satiety. Not enough sleep can lead too the production of too much of the hormone, which makes you crave those fatty foods. 2. You’re always misplacing important things, like your wallet and keys. A major symptom of sleep deprivation is forgetfulness. Getting the right amount of sleep can help you remember the next time you put them down. 3. You depend too much on caffeine. If you need 2 or 3 cups of coffee just to function in the morning, you may be dependent on caffeine. 4. Your emotions are all out of whack. If you’re crying or irritable for no reason (and if you’re a female have determined it’s not PMS), your emotional batteries may need some charging. 5. You always wake up groggy. This can be an indicator of not only too little sleep, but too much sleep too. 6. You start to fall half-alseep at any chance you get. For example, you start to nod off while sitting in a car or on the couch, but you can’t seem to sleep at night. Even though it may be hard, hold off on napping so you can actually get sleep at night. 7. You can’t seem to fight off being sick. A lack of sleep makes it very hard to fight off an illness, and it actually makes you even more sick. We’re very excited to host the fourth annual Healing Hands for Arthritis event on September 17th, 2014. $10 from every one-hour massage and facial session on September 17th will be donated to the Arthritis Foundation. 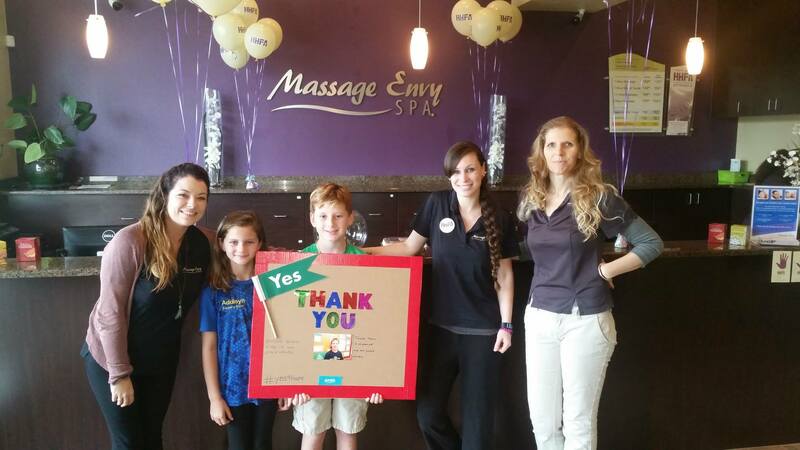 Since 2011, Massage Envy has donated more than $2 million to the cause. Washing your face cleans surface oils, dirt, and dead skin cells. Washing your face too often can cause dryness and irritation. Aim for washing your face no more than 2x a day, and make sure to pat your face dry with a soft, clean towel. No significant links have been found between acne and junk food. However, wiping greasy foods on your face can lead to inflamed pores and acne. By popping a pimple, you’re actually pushing bacteria, dead skin cells, and oil further into the skin and surrounding pores. This can cause your acne to spread and even scar. A pore is simply a small hole in the skin which sweat escapes from. There are no muscles attached to them, and believe it or not they can’t open or close. Steaming can help cleanse and moisturize, but it will not change a pores size. There has bee no links found between shaving and hair thickness or color. Hair can feel coarser and thicker after shaving because the blade gives it a blunt edge. Now that the kids are headed back to school, it’s time to focus on you again. What better way to start the school year than by improving your health? There couldn’t be a better time to relax and enjoy yourself. No matter if you have 5 or 50 minutes, it’s important take the time to reduce your stress. What do you include in your morning routine? A star shaped cookie cutter is a great way to spruce up this tasty treat! 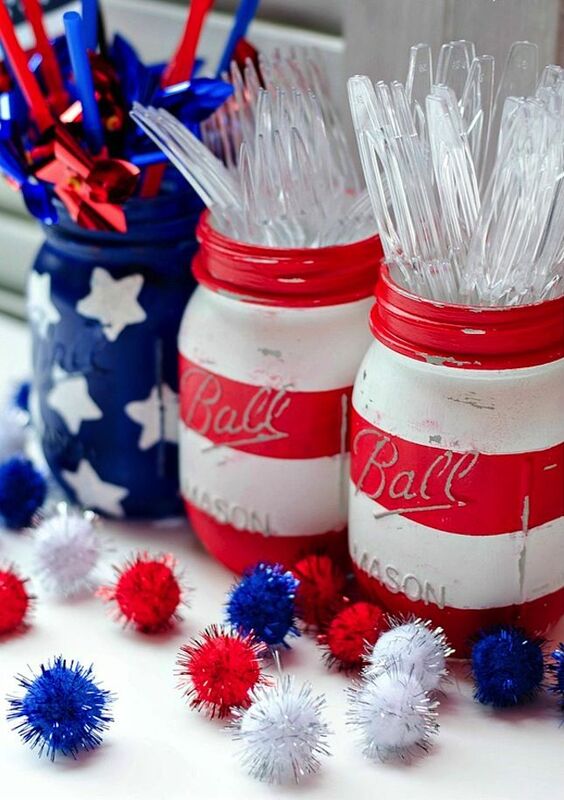 Try adding some red, white, and blue flags for a more festive look. 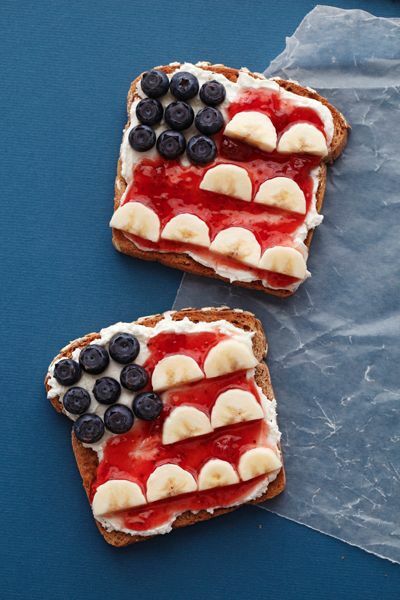 For a quick and easy breakfast treat, try this American flag toast. All you need is some strawberry jam, a few blueberries, and a banana. 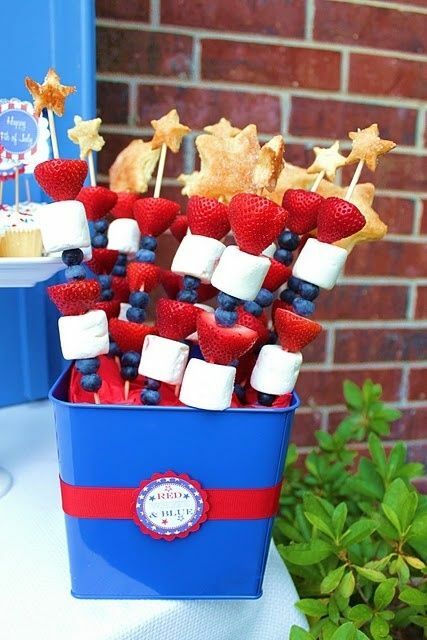 Sweeten things up with some patriotic skewers. 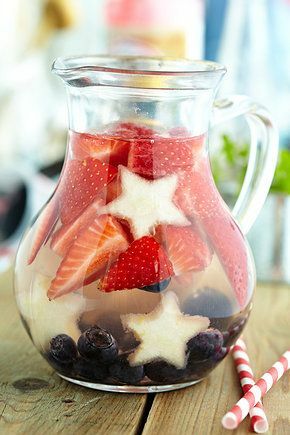 Stack a few strawberries, blueberries, marshmallows, and angel food cake for the perfect red, white, and blue mix. 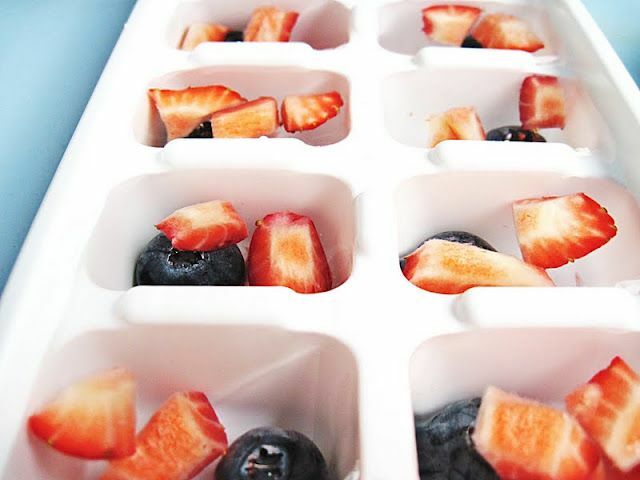 Or make your own strawberry and blueberry infused ice! For more holiday ideas, visit our Pinterest: http://www.pinterest.com/massageenvycf/. Enjoy! Hurricanes have a special place in our heart in Florida. The effects range from a few days off of work and school (in the Florida heat with no electricity… or air conditioning) to complete devastation of a town. When you are younger its a thrill, but when you have a home, children, and yourself to worry about, it becomes much more real. Remember to keep yourself updated to protect yourself and your family. Here are 5 unique hurricane tips to use this summer! 1. Storing ice from your ice maker in clean bags in a spare freezer throughout the season is a great way to ensure you will be able to keep things cool once the power goes out. 2. Using your camping gear is a great resource for traveling and use in your home if you don’t have electricity. 3. Have a family member or friend from out of the area for each person to call in-case local phone lines are jammed. They will be able to keep a tally on who is okay and where they are to relay the information back to you. 4. Make arrangements for pets and livestock. Pets may not be allowed into emergency shelters for health and space reasons. Contact your local humane society for information on animal shelters. 5. Make dog tags for each member of your family with emergency contact information. Keep them in your hurricane prep areas until evacuation is suggested. We all see those boxed zen rock garden kits on corner isles of our local books and gift stores, and we’ll admit they seem like more work than they are worth. We changed our minds! After seeing these energetic photos, we are excited to share our favorite parts of a Zen Garden & how we plan to make our own! 100% Customizable: Size, color, accessories, you name it. Designing your own Zen or Rock Garden can be fun and will get your creative juices flowing! If you want to do a larger project, we recommend using a professional (if you decide to transform a section of your yard or home). We think the best sizes for a DIY-er is table top sized or smaller (something you won’t be walking through). Colored sand is something to look into as well as rocks, or plants. Cacti are generally easy to take care of and you can find them at any local store. Use diverse rocks and accessories to make it your own! Easier than meditation: meditation is an important life style characteristic that can help you focus, and reduces stress. We get it, not everyone likes the idea of meditation or justify the time spent-that’s OK! Use your Rock Garden to help you think outside of the box and take a step back at work. Use it to re-focus your energy at home. Look at it when you get confused about big decision! Taking the time to rake through the sand and design patterns and waves is can take you to a happy place before you know it. Conversation Starter: let your garden be a focal point in your home, talk to co-workers about it. Show off your creative and new, zen, mantra to your friends. People love to play around with zen gardens, especially if they have never seen a unique one. It can add character and an ounce of luxury to your home decor. The best part: they are budget friendly. Designing your garden can cost as little or as much as you want to invest. Visiting your local craft stores, looking through your own drawers of hidden treasures or thrifting can give your garden the vibe that you want to create. Start off small and gradually put your garden into bigger spaces. Add accessories over time and as your moods when using the garden change, their flexibility is an asset. Consider your gardens surroundings. It is probably the best idea to keep it out of reach of small children and away from rooms with strong fans, your sand or rocks my disappear and end up in your vacuum! Use exotic and energizing colors, or go for a monochromatic look, based on what you want to inspire in yourself while using your garden. 1. Peppermint- Used to soothe stomach aches and sore muscles, as well as help with PMS and headaches. Put a drop of peppermint oil into a pot of boiling water and breathe in the steam (careful not to get too close!). 2. Lavender- Calms the nervous system, and helps improve sleep and joint pain. Lavender is also known to help with acne, respiratory problems, and urinary disorders. 3. Sesame- A natural moisturizer, great for hair and skin treatments. It’s also believed to help lower stress levels and high blood pressure. 4. Lemon Balm- Aids in anxiety and depression, as well as insomnia and headaches. 5. Clove- A natural antiseptic, used to help treat minor bug bites, cuts, and scrapes. We’ve heard it, we’ve longed for it, we don’t have time for it. The benefits of growing your own produce; are they real? You bet they are! 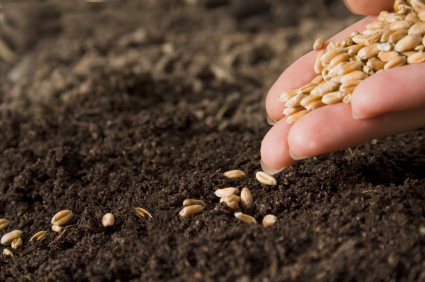 Starting the process of having your own garden can seem daunting. The soil, weather, time and energy, and not to mention all the critters that seem to eat your fresh goodies before you get the chance, are all valid reason why we would just rather go to whole foods or our local grocery store. So were diving deeper past the “organic is better for you, support your local farmers, and getting away from pesticides” benefits (all very important), and looking at the true happiness gardening can bring you and your family. Yes, its hard work. Yes, there may be some whining when its hot and everyone would rather be playing and relaxing than potting soil and pulling weeds, but the benefits you reap from gardening with your family will surpass these minor struggles. Bonding with your loved ones over the labor ends with an accomplished day, a nice dinner, and relaxing time that is truly enjoyed (instead of weekend boredom). The feeling will only grow. 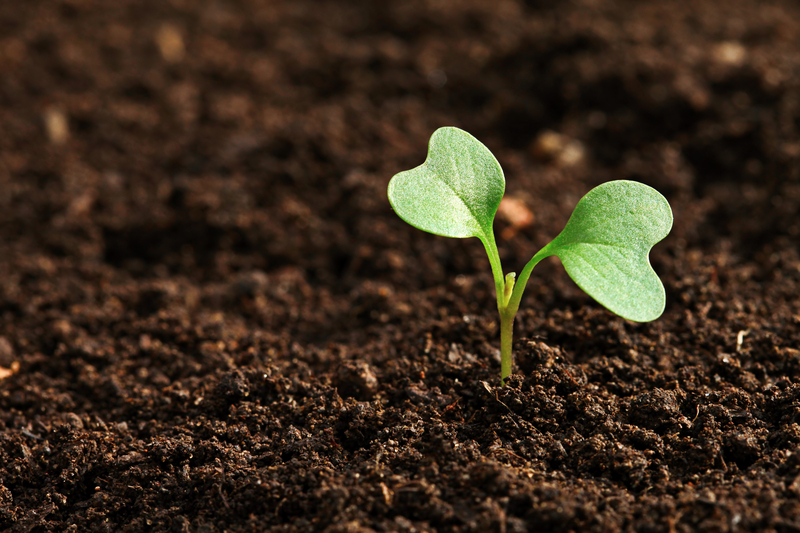 As you watch your plant(s) develop, it will be an exciting journey with your family. When you finally get to pick the fruits of your labor, you enjoy the rewarding experience with them. You have accomplished memories and taken pictures that will last in your young one’s hearts forever, and with you. Not to mention you get to eat what you grow! What you create from the earth will taste so much better and it’s free! Plan a weekend of gardening with your family this year. You can start off with herbs and small vegetables like peppers in potted soil, or start a whole garden in your own back yard! What will you do with your loved ones this spring? Each year, 1 in every 4 deaths is caused by heart disease. What most people don’t know, is that heart disease can often be prevented by living a healthy lifestyle. In honor of February being American Heart Month, we’re offering tips for better heart health. Attaining a healthy lifestyle all starts with one small step. Get healthy in the kitchen and spice up your dinner plate by using natural herbs and cutting out salt. Start your journey toward an active lifestyle by going for a 30 minute walk or bike ride each day. Most importantly, monitor your blood pressure and cholesterol levels. Each step you take, no matter how small, will bring you closer and closer to a healthier heart, so don’t get overwhelmed. Ask friends and family to join you on your journey to help you stay encouraged and focused. You heard us. 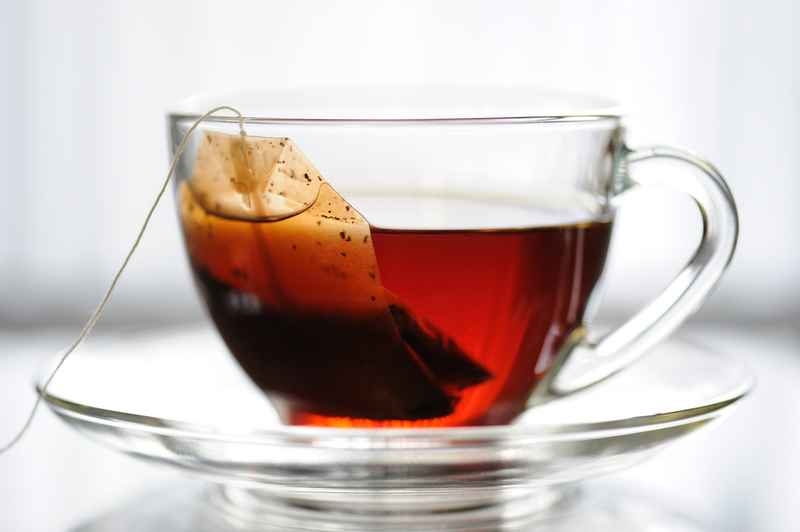 January is National hot tea month! For ages, teas have been used and looked at as a staple for healthy beverages and pure delight. From bottled green tea energizing our yoga enthusiasts, Arizona Teas becoming all the rage, and who could forget good-old sweet iced tea from south of the Mason-Dixon. In honor of hot tea month, we did a little digging and found the basic myths and highlights about teas. Hopefully, this can keep reminding us that just because it says “tea”, doesn’t mean it’s the healthiest option on the menu. “Tea is a name given to a lot of brews, but purists consider only green tea, black tea, white tea, oolong tea, and pu-erh tea the real thing. 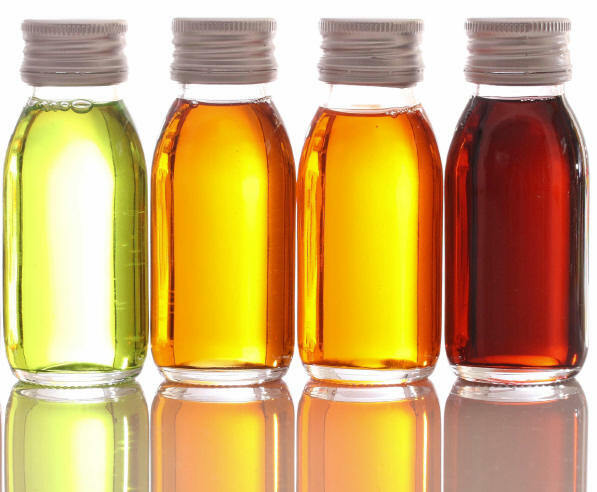 They are all derived from the Camellia sinensis plant, a shrub native to China and India, and contain unique antioxidants called flavonoids. The most potent of these, known as ECGC, may help against free radicals that can contribute to cancer, heart disease, and clogged arteries. What kind of tea did you choose? If you stop by your local café and order a Passion, Refresh or Vanilla Rooibos, you’re ordering an herbal tea. They are going to taste great because of they’re a fusion of plants, fruits, and flowers, but are not derived from the Camellia plant. This means that the antioxidants unique to tea are usually missing. Ask your barista what kind of tea your usual is. Ask them which tea would be most related if it is herbal or another fusion. What are you adding to your tea? Sweet tea has a pretty strong hold on the southern states of the U.S. Filled with sugar (the more the better) iced sweet tea, can boost your daily calorie intake by up to 300 calories! (Per serving). Talk about drinking your calories. Other teas to look out for are stationed at your convenience store, bottled or canned. Remember to take a look at the label to see what the “tea” you’re buying is really made of. Watch out for preservatives, added sugars, and artificial sweeteners. Obviously, drinking that would be counterproductive if you’re drinking tea to get a jump start on your health consciousness. 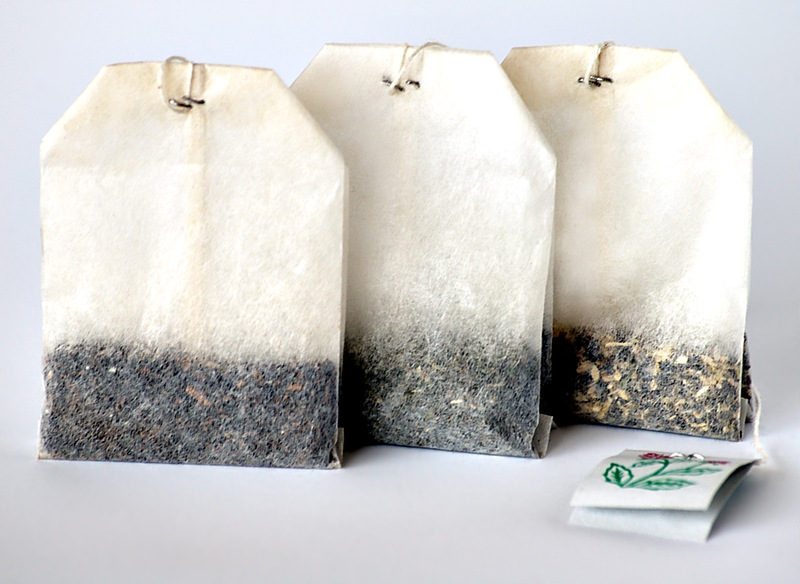 **Do you add sweetener to the tea yourself? Try using natural enhancers like Agave or Honey! Any Tea-Bar should be equipped with a supply, and it gives your tea a holistic essence. Way better than dissolving a few packs of sugar, if you ask us. What do you want your tea to do for you? Many have sought after green tea as a metabolism booster or black tea for a caffeine kick. Read this blog we found, 6 , to learn more about your favorites and to find new teas that could benefit your goals. So, tell us! What are your favorite teas? Have you made a switch from coffee to tea; what has your experience been? Leave your ideas in our comments section! Downsizing your dishes is a great way to cut out extra calories. Try using a smaller plate or bowl; this will help make your portions seem larger than they are. It’s always important to stay active. Go for a walk. Ride a bike. The opportunities are endless. Aim for around 30 minutes every day. Processed foods may seem low in calories, but they can be filled with tons of hidden ingredients that are bad for you. Stick to the fresh fruits and vegetables. The sun does lots of damage to your skin over time. 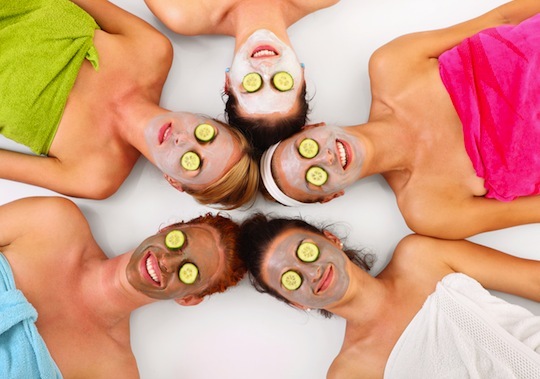 Regular facials can help reverse the effects of sun damage. It’s also important to wear sunscreen every day, even when it is cloudy. Always think positive and expect good things from yourself! Just by changing the way of thinking, you’ll be looking in be mirror at a much healthier you. 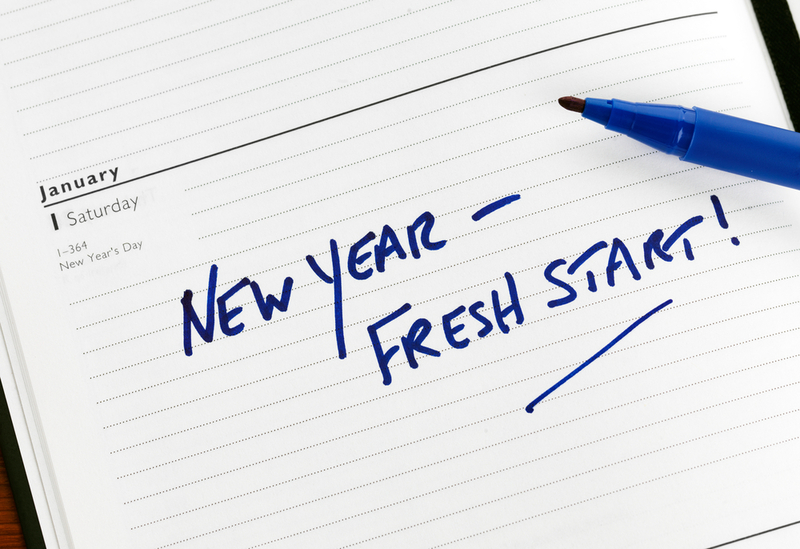 Here’s to a healthy, happy new you! Thanksgiving, were looking at you! During the holidays we tend to let it be a cheat month in regards to our healthier eating habbits. With family and friends stopping by, chilly weather, and the fact that were wearing pants and jackets, who cares about gaining a pound or two? Did you know that this time of year is when people become the most depressed? The best way to battle this is keeping your happy and healthy through the holidays here of four tips how. Eat breakfast – yes, even if you are waking up early to do a massive amount of cooking or baking. Eating just a bowl of oatmeal or and omelet can help kick start your metabolism, resulting in feeling great and keeping your busy days productive, as well. Just eat it! – While we bake and prepare large meals, we can all admit we take a bite of everything. Everything! From pastries, to tasting a slice of turkey, having one piece of candy from the holiday displays, and even the veggie tray we slaved over, we try it! Because one taste won’t hurt, right? Wrong! All of those calories add up. Because you’re not eating to fill yourself, you won’t even notice. Instead of snacking all day, just eat lunch! Make an entire snack, or have your pastry. You’ll be more productive if you give your body the energy it needs and won’t snack your entire daily calorie intake away. Skip the green bean casserole – yes, it’s delicious, and yes every family has their own famous recipe. But were calling out the casserole. It is not the same thing as eating a serving of veggies. It is not! If it’s something you can’t get over leaving out of your meal, plan to have more cooked vegetables. Salads are great, but they still don’t have the same nutrients our body needs to keep working healthily. Carrots, broccoli, and spinach are all vegetables we forget about when planning our meals. Instead of making them separately, you could always buy a bag of mixed frozen vegetables at your grocery store and make them right before you sit down. 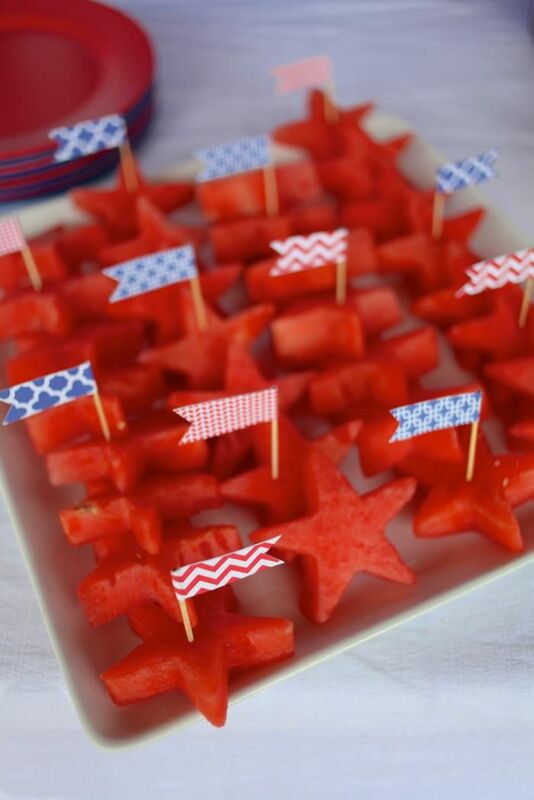 Plus, it adds some vibrant color to your plates! Plan an activity – After thanksgiving we tend to be in the mindset that it’s time to settle down while some nap, play cards or catch up over coffee and left-overs. Instead, take a group walk around your neighborhood. If the people in your family are active, plan a flag football game, or a homemade obstacle course. Being outside and active will help your body digest all of those delicious foods and can keep you from feeling run-down after clean up. Not to mention, being in a group activity is a better way to reconnect with family members and for children to be in touch with relatives they may not see often. Planning an activity will be more memorable for years to come. 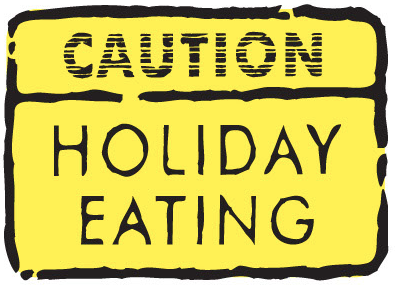 What are some ways you keep your holiday season healthier? Celebrities with Arthritis. Massages for a cause! What they do, is donate $10 from EVERY one-hour massage. This year they are taking reservations for the cause on September 18th. In central Florida you can participate at all 13 of our locations! These include: Altamonte Springs, Clermont, Downtown/SODO, Dr. Phillips, Gainesville, Hunter’s Creek, Lake Mary/Sanford, Oviedo, Port Orange, Viera, Waterford Lakes, Winter Garden, and Winter Park. 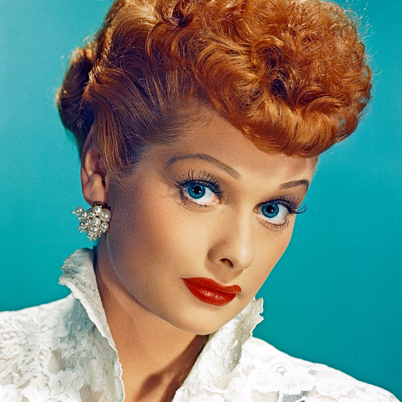 Did you know Lucille ball dealt with Rheumatoid Arthritis from the age of 17? Did you know that rheumatoid arthritis is an autoimmune disorder? (You’re immune system accidentally attacks your own body). Other autoimmune disorders include diseases like Multiple Sclerosis (MS), Lupus, Graves Disease, and Diabetes Type 1. The point is, arthritis isn’t just the 50-60 somethings you see on commercials that can’t sew and put their hobby planes together anymore.It is an incredibly painful disease that can even lead to joint deformation and bone corrosion. Help Massage Envy take this stance for victims of arthritis and book a massage! Not only will you feel great from a day at a spa, you can rest assured that you’re relaxing for a cause. For more info, visit http://www.massageenvy.com/healing-hands-for-arthritis. See you there! Father’s Day is right around the corner! (Sunday, June 16) Sure, father’s day gifts usually consist of a new tie, a gift set of tools, or golfing gear, but why not switch it up this year and treat your husband or dad to a massage gift card? Spas don’t have the reputation of being masculine, but the benefits of massage therapy should change that. Even Phil, from Duck Dynasty changed his mind about them while in Hawaii! MensHealth.com posted an article of the benefits of massage relating to men. Massage therapy has been proven to: decrease neck and lower back pain, enhance athletic performance, managing high blood pressure, and boost moods. Plus, it will really let him relax on his day!